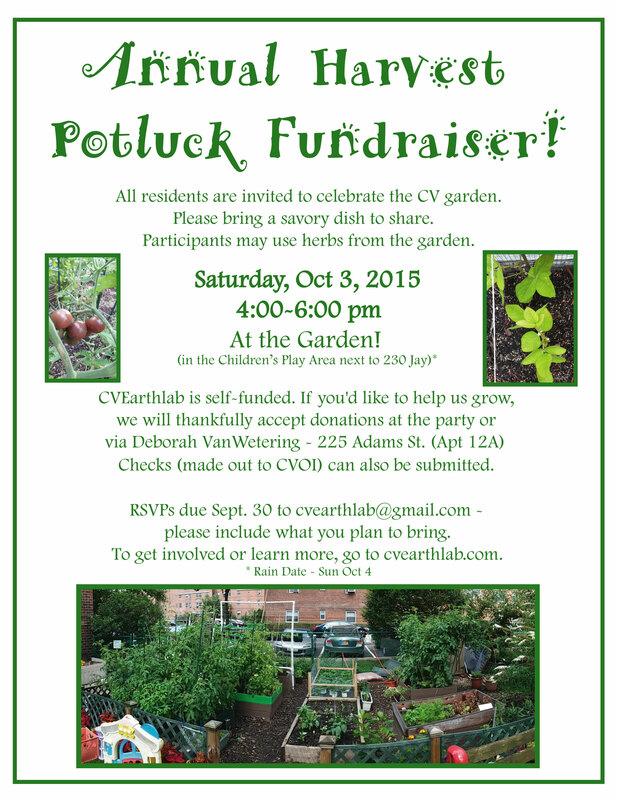 Join your neighbors for a potluck party and fundraiser on Saturday October 3rd. We will celebrate the harvest and the end of a successful season with garden-inspired dishes and start to fuel the next season. Guests are invited to bring a savory dish to share and a suggested donation of $10. per person. CVEarthlab members: Please bring annual dues along with a dish. To RSVP, send a note to cvearthlab@gmail.com. Thank you.